We welcome enquiries and aim to respond as quickly as possible. Whether you want to arrange a visit to our premises or are looking for a member of our sales or technical teams to contact, your interest in our company and products is much appreciated. You can call us on the number below or write to us at the Euro Centre using the following postal address details. Visitors to NICe - NIKKEN Innovation Centre Europe should go directly to our facilities at the Advanced Manufacturing Park. 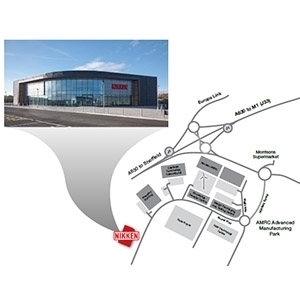 Map and directions to NIKKEN Innovation Centre Europe (NICe) on the Advanced Manufacturing Park in pdf format.